Maysville……..Sharon Kay Hardin passed away on Friday, June 24th. 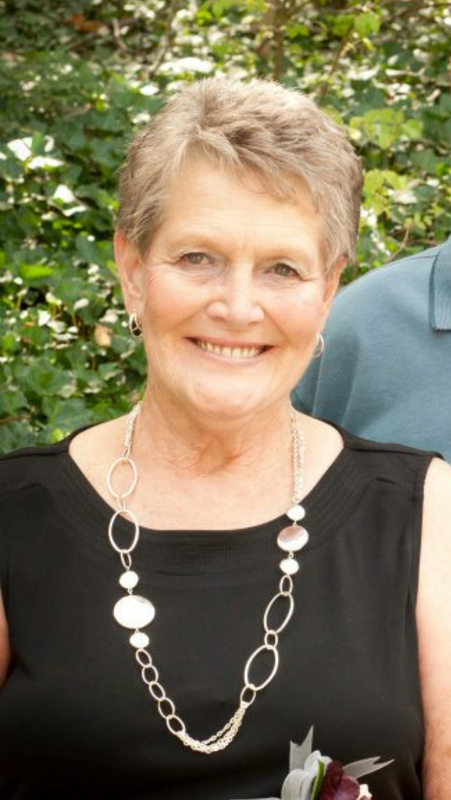 Sharon was born in 1943 in Gallatin, MO and is a graduate of Maysville High School. She married the love of her life, Ronald James Hardin, in 1961 and was a member of Fairport Baptist Church. Sharon’s beautiful smile and joyful laugh complimented her heart of gold she was so well known for. She loved spending time with family and especially loved being with her husband, dogs, and children, and playing with her grandchildren and great grandchildren. Her beautiful life will forever be cherished by so many. Sharon is survived by her husband Ronald Hardin (Maysville); children Tina Hardin (Columbia), Terri and John Gabbard (Amity), Randy and Judy Hardin (Maysville) and many grandchildren and great grandchildren. In lieu of flowers, the family has requested memorials be made to Fairport Baptist Church. My thoughts and prayers are with the family in this time of sorrow. We are so sorry for your loss. We know Sharon meant so much to your family. Our thoughts and prayers are with you. So sorry for you lost uncle ron, wish that I could be there for you in this time of need. Uncle Ronnie, from my family to yours our most heartfelt condolences. The loss of a loved one changes your lives forever. Tina, Terri and Randy – your mother will always be in your hearts, always relish the time you had and the memories you made. Keeping you in our thoughts and prayers today, tomorrow and in the weeks ahead. Ron and family – I was so sorrowed to hear of your loss. Sharon was such a wonderful, outgoing person and I have many memories of her. You and your family are in my thoughts and prayers as you go through this difficult time. Smoke and Prayers for your family. So sorry to hear of your loss Ron. Ron and family – James and I are so sorry to hear of your loss. You and your family are in our thoughts and prayers. Remembering fondly the good times we all had years ago and I will always remember Sharon’s happy smile and laughter. God bless you all during this difficult time and always. I am saddened to hear of Sharon’s passing. My sincere condolences to all of you. She always came to the office with a positive attitude and a smile on her face. Thoughts and prayers for you all during this difficult time.